Home / Entertainment / News / Showbiz / Viral / Kilalanin ang mga Celebrities na naging Magkarelasyon ngayong 2017! Kilalanin ang mga Celebrities na naging Magkarelasyon ngayong 2017! 2017 has been quite a year for everyone–even for the showbiz industry. Many stars were involved in a slew of controversies, even more so on romantic rumors. Whether confirmed or not, here in the story we give you a roundup of celebrity hookups that made round in social media. - Ellen and John Lloyd have been the talk of the town for months following their controversial vacation in Bantayan Island, in which both showed undeniable affection to each other. The speculations reached its peak when the actress was reported to carry a child with the award-winning actor. While they have yet to confirm their relationship, however, the two continue to demonstrate a fondness for social media. 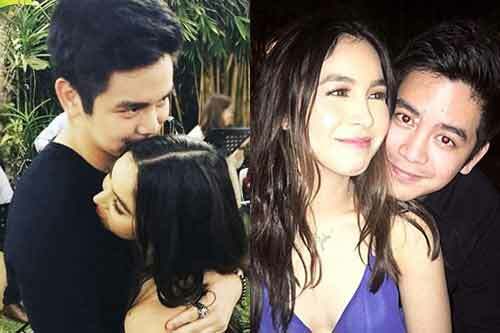 - Many thought that JoshLia made odd on-screen partners until the two became close in real life after working on their movie “Vince, Kath, and James”. 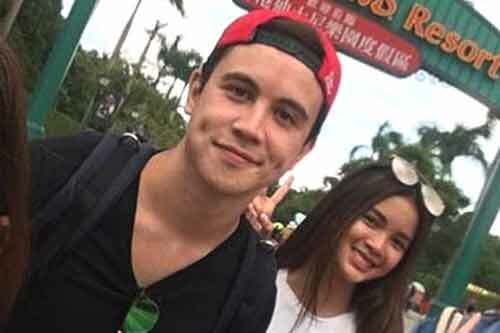 Not too long after, the young actor admitted to courting the ASAP It Girl. They also have not confirmed their relationship, but according to the father of the “Love You to the Stars and Back” actress, Dennis Padilla, he thinks that the two are already together. - The leading lady of “Meant to Be” found real love with one of its starring men, Jak. It was back in August when Barbie outed their relationship to the public, following her Instagram posts which hinted their romantic status. 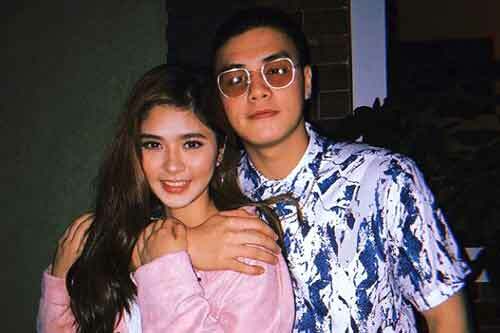 - Former partners of Joshua and Julia, Loisa and Ronnie became close and, soon after, showed signs of sweetness on their Instagram accounts. The BFF member finally confessed in morning talk show “Magandang Buhay” that they were indeed going out. - On September of this year when the “Hanggang Saan” actress admitted that she’s dating the Pinoy Boy Band member. They were even reported to have met each other’s families. However, the couple wants to take it slow and continue to prioritize their respective careers. - Amid their music collaboration were Maris and Inigo developing a special relationship over time. The young singers confirmed that they are exclusively dating, but want to take it slow before making such commitment. - The “La Luna Sangre” actors pretty sure were in seventh heaven after their unexpected revelation of their feelings on late night talk show “Tonight With Boy Abunda”. Prior to this, both have denied going out until Miho disclosed in an interview that Young JV was indeed wooing her. - It was on his Instagram account that the Filipino-Japanese actor showed that he has finally moved on as he put up a photo with his foreigner girlfriend. After their celebration for his birthday in Palawan, Daniel revealed that they are officially together. He refused to give further details, as opposed to his public relationship with his ex-girlfriend, actress Erich Gonzales. - In a tell-all interview with PEP, the female rockstar admitted that she’s going out with the Chinese magnate. She appears to be smitten to the now-boyfriend when she said that she didn’t initially want to get into a relationship but Anthony is an exception. 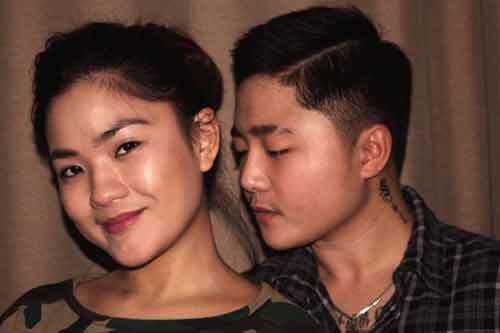 - After working together for drama series “My Dear Heart”, Zanjoe and Bela reportedly had feelings for each other but refused to pursue them until later. To fan, the flames were comedian Vice Ganda after he aired on the show “Gandang Gabi Vice” the romantic status of the two. While she didn’t deny being romantically linked to the actor, Bela, however, insisted that they are not together yet. - Many fangirls’ hearts were broken upon hearing news of the hunk actor being in a relationship with the Fil-Australian model. The two decided to go public as a couple during this year’s Star Magic Ball. According to Jodie, her boyfriend is the “most selfless person” she knows. 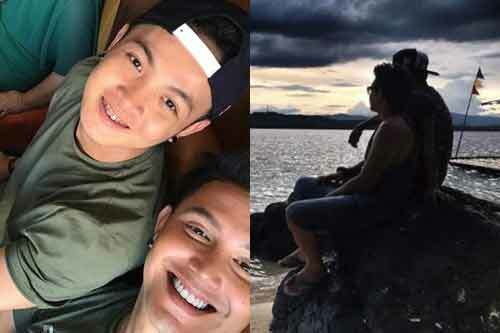 - The “Eat Bulaga!” host first hinted of their relationship on Instagram when he put up a photo of intertwined hands wearing matching rings and wrote in the caption “I love you”. It was known then that the mystery guy was the G-force dancer. Aside from the bands were the partners solidifying their love each other through their matching tattoos. However, the short-lived romance was put to end on May and mid-June of this year. - Back in November when the actress admitted to dating a businessman since March. The 33-year-old beau was reportedly the meat supplier of her burger business. She disclosed that they are planning on putting up a Korean restaurant together. - The lovers proved that love is love after admitting their romantic relationship. On his Instagram account, the international singer said that the girlfriend is the reason why he has turned away from self-hate, and said that it was her inner, apart from her outer, beauty that made him fall in love. - Last year, Arjo dropped the news that he was currently dating a GirlTrends member. The unidentified girl remains a mystery until a video of the actor with Sammie in a tropical getaway leaked online. They also went together for a trip to HongKong Disneyland. But, Sylvia Sanchez’s son wants to keep their relationship private. Indeed, this year is as juicy as it can be for showbiz. We can only hope that these celebrity couples would end up happily ever after! What can you say about this list of celebrity hookups? Which couple listed in this story is your favorite? Do you have other lovers to add to roundup? Let us know your thoughts and reactions by leaving them below in the comment section!